English Society of Lampung University: What is UKM-U English Society of Lampung University? What is UKM-U English Society of Lampung University? English Society is the only university scoped English organization in Lampung University. 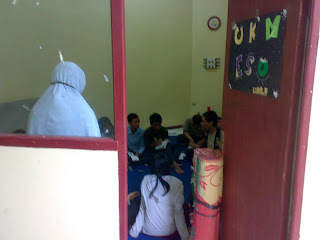 English Society was established on November 24, 2005 by some UNILA’s students who were interested in English. ESo’s establishment was also based on the coordination and consolidation among English Club in Lampung University There are 4 departments within our organization, they are Education and Development Department, Public Relation and Financial Department, Administration and Homeland Security Department, Creativity and Art Department.